Hartsfield-Jackson Atlanta International Airport is the busiest airport in the world. With more than 2,500 flights coming and going each day, it serves over 100 million passengers a year. So what is the latest offering? A nonstop flight to Wakanda. If you have not heard of Wakanda, you probably have not seen Black Panther, the new superhero movie from Marvel Comics. The film tells the story of an imaginary African nation called Wakanda. It is the home of the Black Panther himself, Prince T'Challa. In its opening weekend, Black Panther earned a record-setting $235 million in American theaters. It is the number-one movie in the world. Black Panther has connections to Atlanta, Georgia; part of it was filmed in the city. Earlier this week, the Atlanta Airport decided to have some fun. It tweeted a photograph of a departure gate sign that read: "Wakanda. 7:30 p.m." It also wrote, "The bags are packed! #WakandaForever." In the film, Wakanda is a developed, technologically advanced country. It is both extremely modern and deeply traditional. It has never belonged to a foreign power. Many Twitter users seemed extremely excited to book a one-way flight to Wakanda. Some people had questions about the trip, including the food and entertainment available. The Atlanta Airport responded to many of their requests. Even actor Lupita Nyong'o, who stars in Black Panther, wanted to know what films would be shown en route to Wakanda. Her movie suggestions were a play on real movie titles, but changed to include Black Panther names and characters. 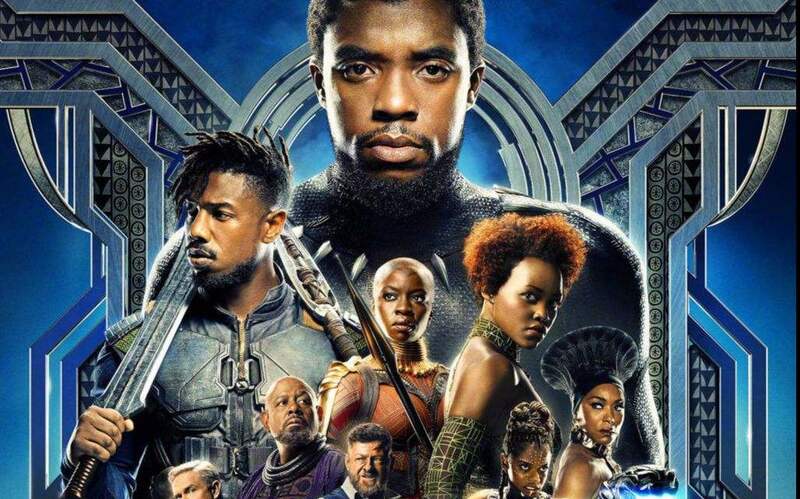 The airport's idea to announce a fictional flight from Atlanta to Wakanda reportedly came from Atlanta-area chef Darius Williams. A video on Facebook shows Williams asking an airline employee to help him book a flight from Atlanta to Wakanda. The employee treated him with respect...but was understandably confused! Is there a nonstop flight to Kunming on saturday? We may ride the magnetic suspension train to go to the Pudong international airport. Some of the players claimed a penalty but the referee told them to play on. All of these people gave me a great deal of information I had never heard of. 5.With more than 2,500 flights coming and going each day, it serves over 100 million passengers a year. What a busy place, with so many people coming and going. You're driving me mad with all this coming and going. 6.Earlier this week, the Atlanta Airport decided to have some fun. I was just trying to have some fun at my own expense.